For the equine enthusiasts, look no further. After a lifetime of training many successful racehorses, the vendors are hanging up the reins to hand over to those who wish to make their dreams a reality. 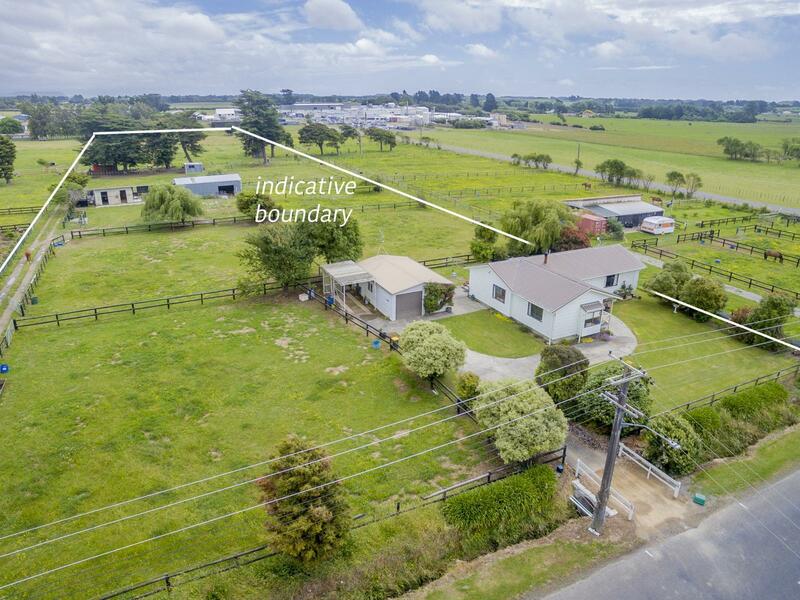 The whole property is approx 1.6 hectares, and comprises a three bedroom home, hay barn, tack room, four horse boxes, feed room, nine well fenced paddocks all on town supply water. Well located, only five minute drive to town centre and five minutes walk to racetrack training facilities. The low maintenance homestead which features timber throughout has three bedrooms, spacious open plan living, family bathroom has shower over bath, plus ensuite, and separate laundry. Decking on south side plus the north making ideal areas for family barbecues. There is an excellent enclosed area that can be used for the family dogs or maybe chickens. Garage with adjoining studio and a carport plus plenty of parking space. There will be no Open Homes here but should you wish to view please call for a private viewing, the vendors have said you are welcome to view anytime.